My daughter has a new favorite series of books. 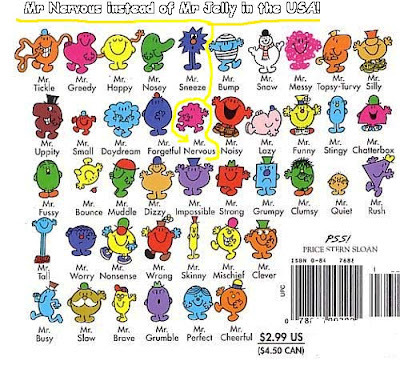 We must get a new one every time we are a the library, Little Mr. and Little Miss Series. Do you remember them? Our library keeps them separate in two little baskets. I take them down and set them on a table and she very carefully and with much thought goes through each one choosing the one she wants. She usually knows exactly which one she is looking for, most often it’s one that was mentioned in the last book she had. My husband is not a fan of them. Mostly because they are so long and not the best literature, but also because he thinks they are focused on the wrong things, the worst behaviors. I not only love them because they are the books of my childhood the more I read them the more I realize what a great message/story they have. In case you are unfamiliar with the books each one is is about a character whose name and features seems to be based on there one major flaw. Mr. Bump. Miss. Naughty, Mr. Rush to name a few. Not all are negative, there is Little Miss. Happy and Mr. Cheerful. We currently have Mr. Bump. 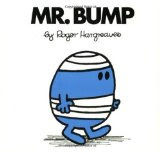 Mr. Bump is always getting hurt, bumping into things, causing accidents. His story goes on about how he can’t keep a job because of all his mishaps. It ends with him finding a job that uses his knack for bumping into things as a benefit, a skill. That is why I have grown to love the Little Mr. & Miss. Books. They all end when the character learns to embrace their flaw and work with it. Turn their shortcomings into a positive. How much happier would we all be if we could do that? Instead of focusing on our shortcomings used them to our advantage, to make our selves happy and successful? Instead of bemoaning our clumsiness, or lateness, or shyness what if we embraced it? What if we accepted that it’s just a part of who we are and learn to work with it, make it work for us? My daughter is at an age where she is in love with the world of princess, Fancy Nancy’s, fairies,etc. Anything that is sparkly, and pretty and fun to read. Many of the stories are filled with princess who are seemingly perfect, whose only flaw is being unlucky, having a horrible stepmother or a strict dad. Having a little story, as hokey as they may be, that teaches her to embrace her flaws, make them a strength. I’ll take those any day. Will you embrace your flaws today? I know I am sure going to try! Love the lesson you've drawn from it as well. So many awesome BPMs this week, and yours is definitely among the finest. 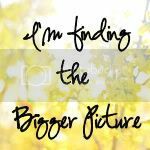 How often do we bemoan our flaws or perceived flaws when we could embrace them and turn it around? I remember those books. I love them as a child. I need to grab a few from the library for my son.